Dr Bolsher has been a GP at Rainworth Surgery since 1997. Dr Bolsher is Clinical Lead in the following areas: Diabetes, Learning Disabilities, Dementia & Mental Health & Safeguarding, she also carries out Joint Injections on knees, shoulders, heels and elbows. Dr Wilkins began working at Rainworth Surgery in January 2001. Dr Wilkins is Clinical Lead for: Respiratory ie COPD and Asthma and Chronic Kidney Disease, she also carries out Joint Injections on the knees and shoulders. Dr Phil Parker joined the surgery at the beginning of April. All the staff wish him well in his post here at Rainworth Surgery. Dr Phil Parker General Practitioner (GP). His days of work are: Monday, Tuesday, Wednesday & Thursday. Dr Huggard has now retired but will be returning as a 'Locum' later on this year to provide some 'annual leave' cover. Practice Nurse/Nurse Treatment Room - provides nursing attention for dressings, vaccinations and immunisations, cervical smears, pill checks and health promotion. These all being as instructed by the doctor. 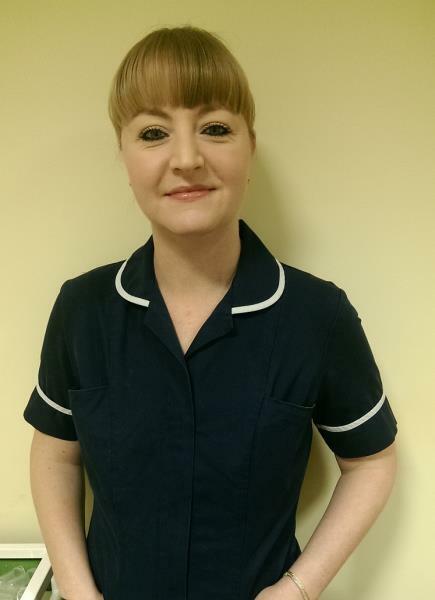 Karen is a locum nurse, and she is providing nursing support to Sara. Karen usually works two days a week. Lisa is a locum nurse, and she is providing nursing support to Sara. Lisa usually works one day a week. Caroline assists the nursing team by undertaking simple procedures eg venepuncture (blood tests), blood pressure checks, ECGs, pre diabetic appointment checks etc following strict protocols. We also provide a service for taking blood tests so that on the majority of occasions the patient can have their blood test done very shortly after seeing a doctor, negating the need to return another day for a further appointment. We welcome Leigh to the practice following the recent retirement of Julie. Leigh is responsible for the day to day running of the practice, offering support to the Location and Administration Managers. Ensuring all financial implications of operating a modern general practice are met and avenues explored to provide exceptional patient care. Leigh works Monday to Friday. Cheryl joined Rainworth Surgery in January 2001 and is responsible for the administration for the practice which includes audits and reporting, maintaining this website, she also is responsible for IT including the computers and the day to day problems that can occur. Cheryl also supports the Practice Finance Manager, Location Manager and Clinicians as required. Sharon joined Rainworth Surgery in December 2002. She is responsible for the management of reception staff, ensuring they are confident, well informed and patient focussed in order to provide an excellent service to all our patients. Sharon also deals with appointment rotas, staff training and arranging meetings within the Practice. She also supports the Practice Finance Manager, Administration Manager and Clinicians as required. Alison is responsible for producing repeat prescriptions working to strict protocols agreed by the partners. Receptionists provide an important link for patients with the practice and are your initial contact point for general enquiries. They can provide basic information on services and results and direct you to the right person depending on your health issue or query. Receptionists make most of the patient appointments with the GPs and nurses. They also perform other important tasks such as dealing with prescription enquiries and issuing some repeat prescriptions. All the reception team carry out numerous tasks during the course of the day, all play an important part at Rainworth Surgery, some have particular areas of interest as well as the day to running of the surgery. Welcome Alisha to our team. When your doctor has referred you to a hospital department she will usually dictate a letter for the secretary, this will generally be sent via the Gateway using the Choice & Book system. If it is a Private Referral you will be asked to collect a letter at the reception to take when you attend the appointment. Claire can also help with appointment queries and general enquiries relating to referrals. Some examinations and reports are not covered by the NHS and a fee will be payable. A list of standard British Medical Association fees is available from reception; please ask if you are not sure. The midwife provides care for expectant mothers and works with the doctors during antenatal clinics. An antenatal clinic is held by the midwife on Thursday afternoons, additional clinics will be put on if required. Home deliveries may be possible in suitable cases. The community nurses are based at Rainworth Primary Care Centre. They work closely with the Practice Team regarding patients and their requirements. They work as a team covering a large area. If you are known to them and you wish to contact them they can be contacted on 01623 791035, if you are not known you will need a referral either from us or hospital. A health visitor is concerned for the health of the whole community, offering particular attention to those with special needs children and the elderly. Health visitors run their own clinics and support parents and carers with problems which arise as a result of bringing up children. Information can also be supplied to clients on ways of maintaining and improving health both individually and to groups. We have a counsellor who comes into the practice, please feel free to dicuss your case with your GP if you feel that you would benefit from seeing a counsellor. You may either be referred, or you can self-refer. Your GP will advise you.